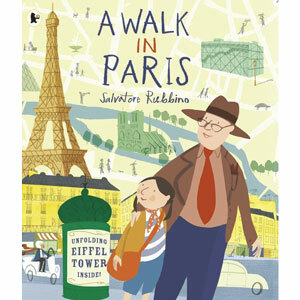 Join a young girl and her grandad as they walk round Paris – the most beautiful city in the world! Follow them as they explore Paris’s iconic landmarks and experience its culture and style: visit a traditional street market, climb to the top of Notre-Dame, wander through the Tuileries Gardens and gaze up at the Eiffel Tower. Friendly text and fresh, lively illustrations beautifully capture the delight of a young visitor experiencing the wonders of Paris – the City of Lights! 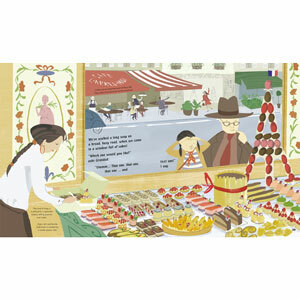 A Walk in Paris is an ideal introduction to Parisian culture and is full of interesting facts about Paris. It is written in English but teaches a little French throughout the story.